» Portfolio » Railway platform and track connection between Atocha and Chamartín stations, Madrid. Spain. 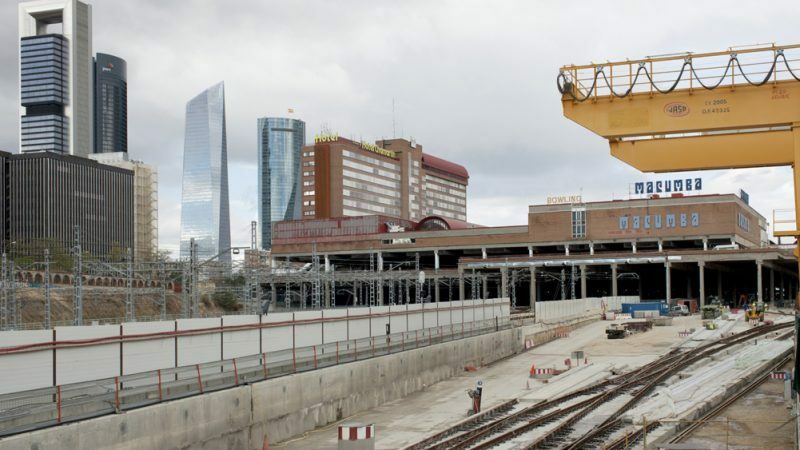 This encompasses the construction of the railway platform and standard gauge track connection between Atocha and Chamartín stations. 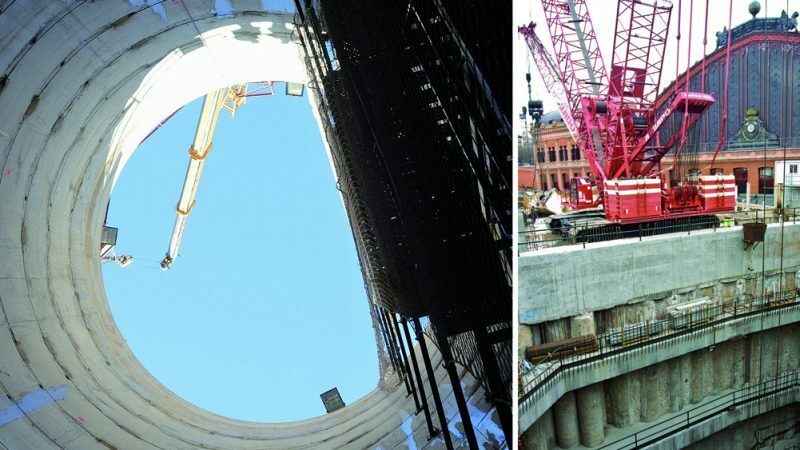 To do this, a tunnel has been constructed with an excavated diameter of 11,495 m and a length of 7,300 m. The tunnel runs from south-north, from Atocha station, along c/ Alfonso XII, c/ Serrano Street and the “El Viso” urban development up to Chamartín. 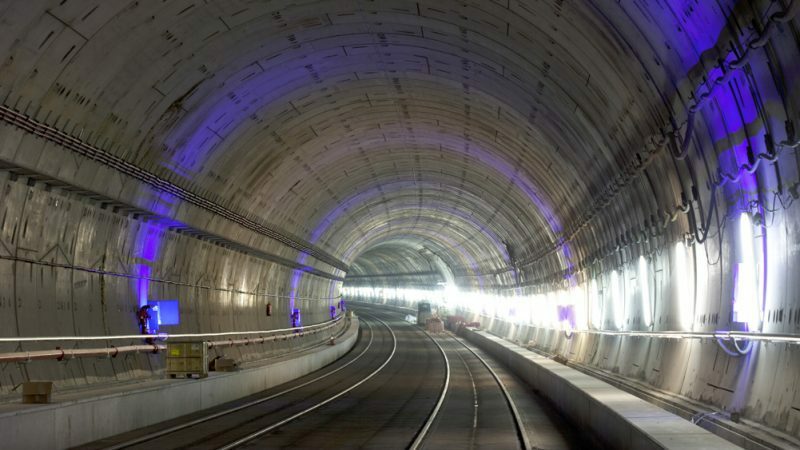 The landscape is basically urban, passing under the Puerta de Alcalá (a monument of high architectural value ) at a depth of 31 m.
Adopted solution: Double track tunnel with an interior diameter of 10.40 m with emergency exits every 775 m, which will also be used for pumping and ventilation in the tunnel.